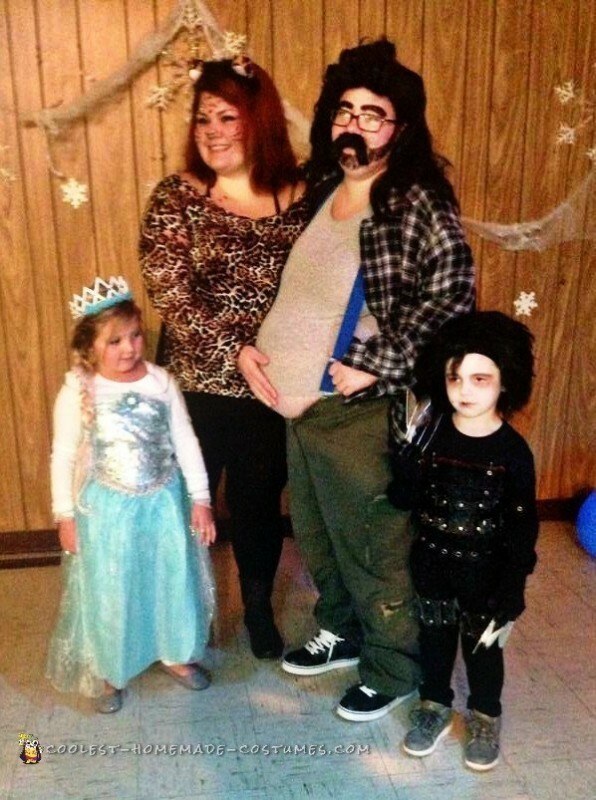 So in October 2014 I had a brilliant idea to dress my fat baby belly up in a hillbilly costume, in hopes of winning a contest. Trying to not spend too much money, I borrowed my dad’s flannel shirt, bought suspenders and found some of my boyfriend’s old clothes (which I could not zip the pants up on). 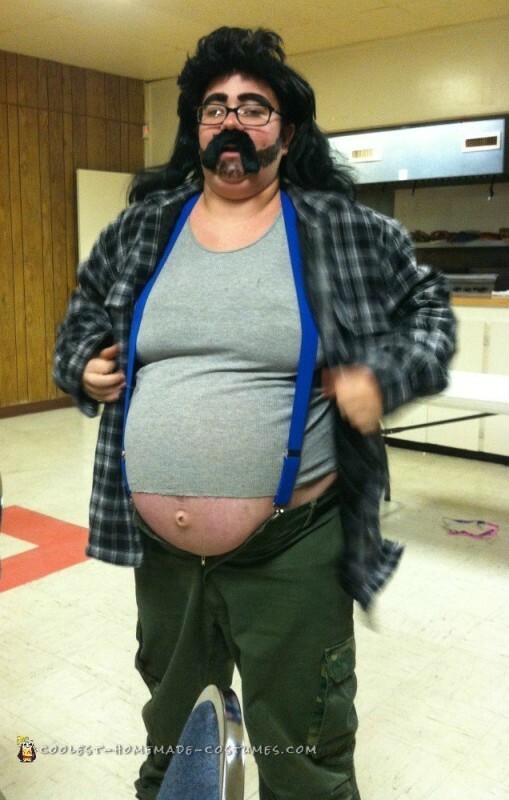 I threw on a mullet wig and a mustache, colored in my eyebrows, and drew a beard along with side burns on my face. 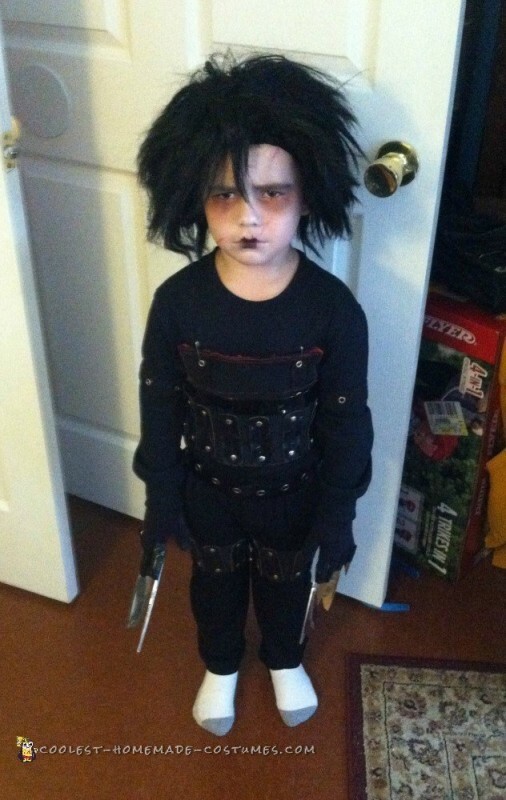 My son (who was dressed as Edward Scissorhands) and I went to the fair for a Halloween contest and a pumpkin picking adventure. We wait patiently as all the kids went up and what do you know, my son WINS! The prize was $50 which is pretty good. I explained that I was 9 months pregnant in my hillbilly voice. The small audience chuckled. The man in charge of the contest was shocked. The look on his face was priceless. He had no idea I was a woman, let alone pregnant. I won first prize… $50! It was such a fun experience. Later, we walked around and I got lots of stares, some laughs, a high five or two, and then we went home. About fifteen days later I gave birth to a beautiful baby boy. 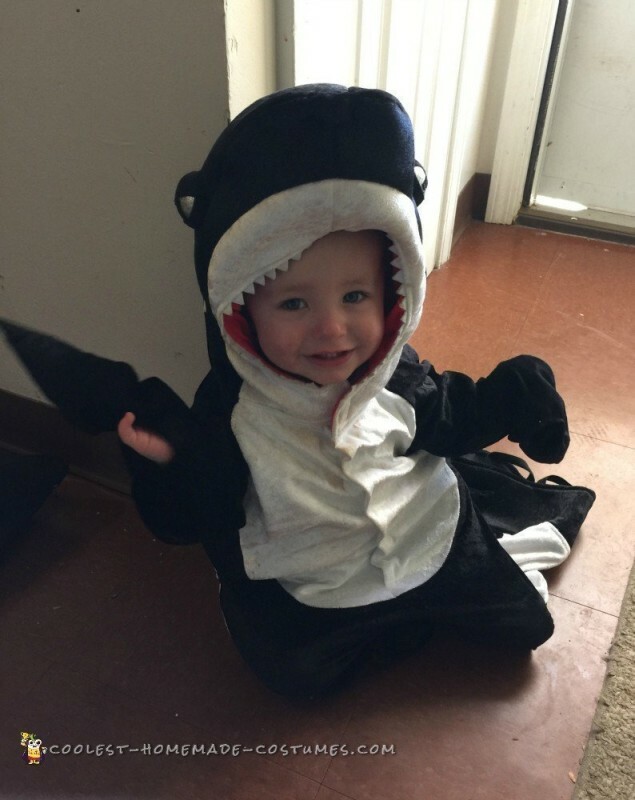 This year I found a cute costume for that baby boy (usually I make all our costumes myself, such as my sons Edward Scissorhands costume and his this year’s ventriloquist doll costume, but he looked so cute as a baby killer whale. It was pretty easy to get the killer whale costume on him. And it was awesome to see him claw in it because it looked like he was swimming. I’m pretty proud of my costumes. My son always gets oooohs and ahhhhs. 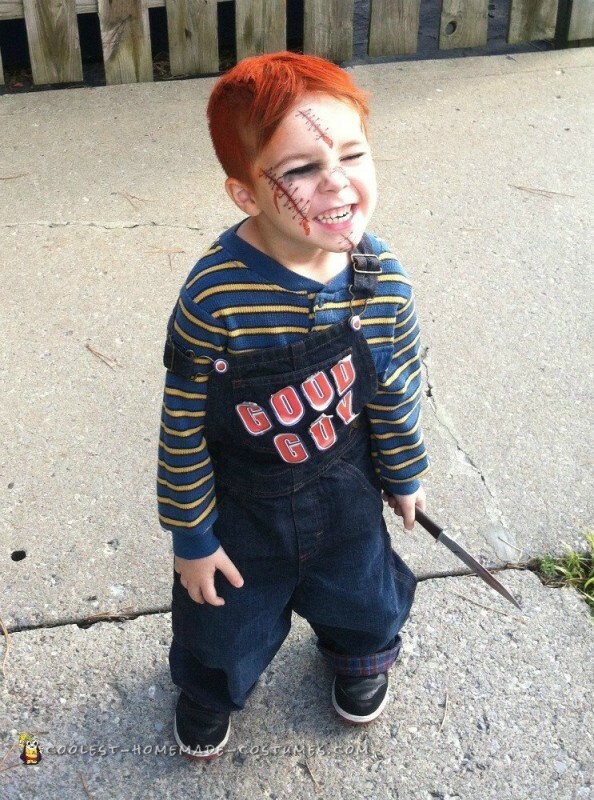 I am sharing his pictures with you too (Chucky, Edward Scissorhands, ventriloquist doll). 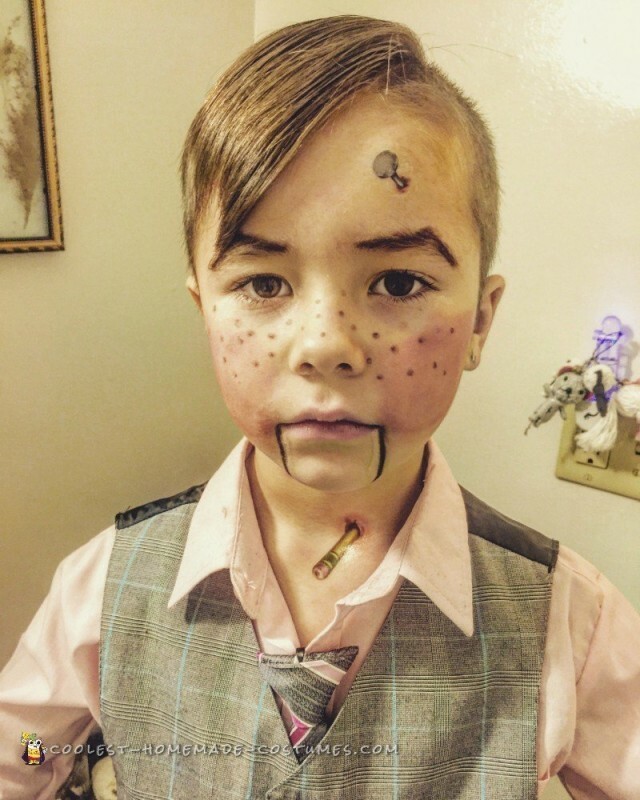 All and all, I’m glad I get to share this story with you, and when my son gets older I can tell him that he helped me win a Halloween contest. If it wasn’t for him I wouldn’t have won! My killer whale did good!